Italian cycling apparel, helmets and sunglasses brand rh+ is aiming to raise its UK profile with a new comms and sales programme, including a fresh partnership with Big Sky Agencies. 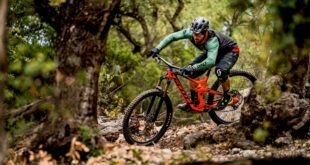 UK sales firm Big Sky Agencies, run by Simon Baynes, will start working with rh+ from January 1st 2016 and has been servicing UK bike retailers for a decade, working with the likes of Craft, Vaude and Morvelo. rh+’s R&D, innovation and sports partnerships will be highlighted in the campaign. The brand works with Spanish Team Fundacion Contador – together with Polartec, rh+ supplies them with a complete supply of apparel, sport glasses and helmets. For futher information, please contact Simon Baynes via either info@bigskyagencies.co.uk, or 07872 905862.